Korean instructors began going abroad to teach Taekwondo in the 1960s, which could be called a turning point in the history of Taekwondo. Taekwondo made its way to the world sport through the 1st World Taekwondo Championships held in Seoul, Korea in May 1973 with participation of 19 countries. At the Seoul meet held on May 28, 1973 on the occasion of the championships, representatives of those countries established the World Taekwondo Federation (WTF). In 1996, member countries of the WTF totalled 144 and the global Taekwondo population is estimated at 30 million people. Spurred by the recognition of Taekwondo by the IOC at its 83rd General Session in 1980, Taekwondo has been rapidly developing an international sport. It was adopted as a demonstration sport of the 24th Seoul Olympics in 1988 and the 25th Barcelona Olympics in 1992. Taekwondo was adopted as an official sport of 2000 Sydney Olympic Games at the 103rd Session of the IOC held in Paris, France on September 4, 1994. 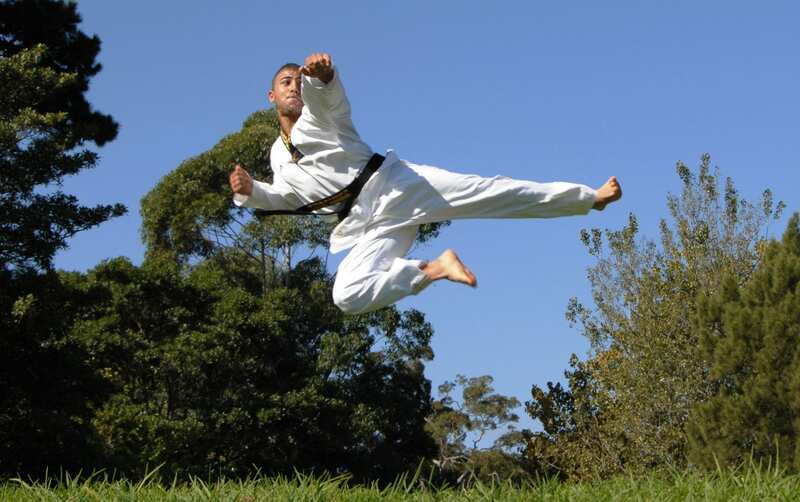 Taekwondo has consolidated its position in the world sport as fast as any other martial art. Continental championships are hosted by four member regional unions of the WTF. There is World and Women’s World Championships, World Cup Taekwondo, CISM Taekwondo Championships and FISU World University Championships. Taekwondo is being played as an official sport in most international multi-sport games such as World Games, Pan American Games, All Africa Games, Southeast Asian Games and Central American Games. Pinnacle Taekwondo has incorporated Karate, Boxing, Hapkido, Kung Fu and many other popular Martial Art disciplines to create a dynamic, fun, effective and modern style. Our Taekwondo style is even modified for kids , Teens & adults starting from the 3 years of age. Instructors travel the world for international seminars and training camps to learn and keep up to date with the latest trends, styles and training methods. Pinnacle is a leader in the Sport Taekwondo Australia creating champions in local, state, national and international tournaments. Pinnacle has a unique way in addressing the development of the Mind, Body and Spirit through our innovative and dynamic Taekwondo program. Which helps gain, develop and improve confidence, discipline, self-control, self-esteem, respect, decisions making, problem solving, social skills, fitness, flexibility, speed, agility, power, balance, coordination, agility, cross training and motor skills all while having fun in a safe and motivating environment. Pinnacle Martial Arts Taekwondo Academy in Sydney is the ideal place to learn and progress to your own Pinnacle. We are here to Teach, Motivate and Inspire.